Same idea, just different effect. I think I like it better. Might need to bring out Ni’ihau a little more. I’ll post updates as I start making more detailed maps. That one is to scale, I just haven’t decided where I want to place the scale. 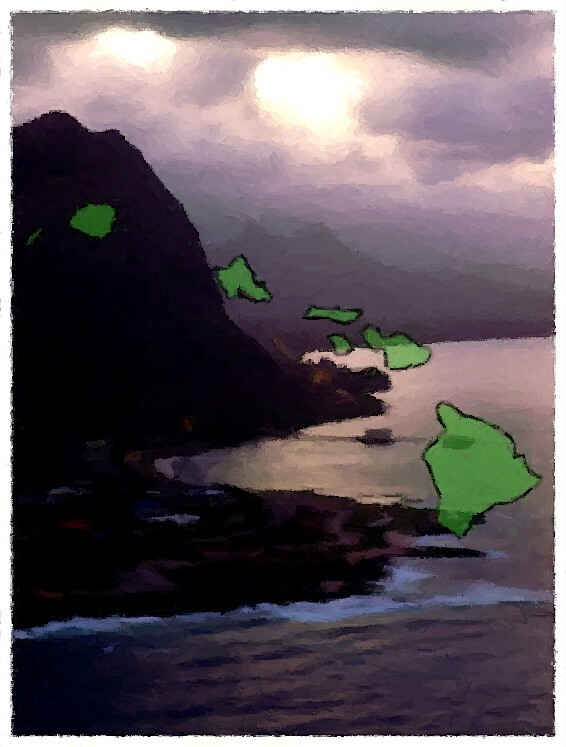 This entry was posted in Creative, Maps, Self produced and tagged art, Hawaii, Maps, Photography. Bookmark the permalink.